Drew Sanocki is the CMO at the project management software company Teamwork.com. Previously, he co-founded, bootstrapped, and grew the eCommerce company Design Public and worked as an operational partner at a private equity group. One of his projects included working as CMO at online retailer Karmaloop. He developed successful growth strategies that he adapted to Teamwork.com, which he explained at his talk at Price Intelligently's SaaSFest 2016. In this guest post, Drew shares a deeper look at the Karmaloop growth story. There's a right way and a wrong way to grow a business—and the stakes are high. Choosing the wrong strategies for your particular business could backfire and send your revenue spiraling rather than soaring. When I took over as CMO at Karmaloop, an online streetwear retailer, I saw the results of misguided growth strategies. Slamming acquisition channels wasted resources and annoyed recipients. Driving sales with discounts attracted non-ideal customers. Disregarding customer satisfaction alienated successful customers and undermined company reputation. To turn the company around, my team built a framework around three growth levers: increasing retention, increasing ARPU, and increasing the total number of high-paying customers. 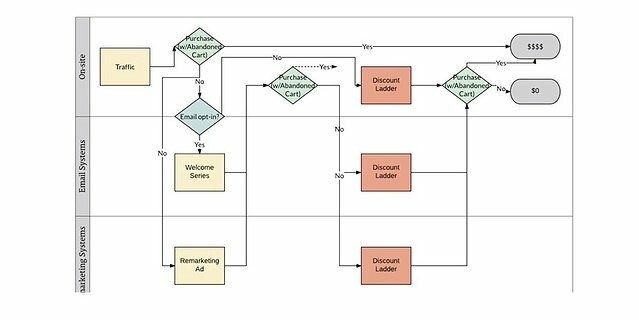 The key was to work backwards through the funnel—focusing on retention and optimizing business from existing customers, and then approaching acquisition in a strategic and targeted way. With this framework, my team and I were able to sell a company we'd bought out of bankruptcy for $10 million. In 2015, Karmaloop's story would have given nightmares to even the most steely-eyed entrepreneur. After growing a $100 million business, the company had lost their footing and plummeted to bankruptcy. Karmaloop's misstep was trying too hard to push misguided growth strategies. In a rush to grow as fast as possible, they took venture capital money and poured it into every acquisition channel possible: Adwords, social, blog outreach, affiliate programs, et cetera. But none of these projects matured, and their funds ran out. They couldn't gain new users—but they couldn't retain their old ones, either. 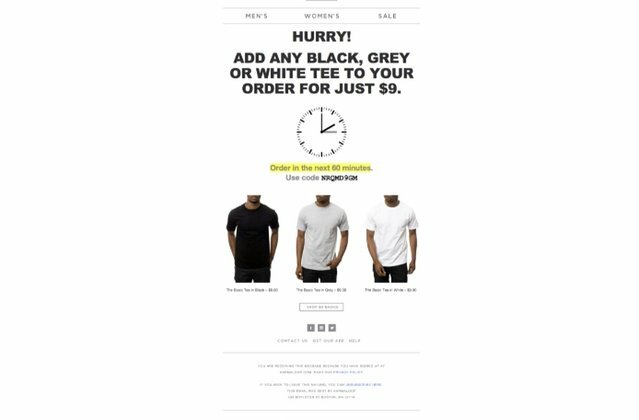 As a last-ditch effort to drive sales, they began offering discounts, replacing their base of full-price-paying customers with customers who were only driven by discounts. They had created a race to the bottom. I saw the root of Karmaloop's problem to be too much emphasis on acquisition and not enough focus on retention. Turning the business around meant doing a better job of retaining and monetizing the best customers, and then focusing on creating more of those customers with highly targeted efforts. My team saw these efforts aligning three growth levers in our operator toolkit: retaining more high-paying customers for a longer time, increasing ARPU, and increasing the total number of high-LTV customers. Karmaloop did not focus on retention, and this fundamentally undermined any short-term growth strategy they tried. They had high-LTV customers at one point, but over time customers were alienated by bad business practices and left. Acquired customers were tossed into a leaky bucket, and the company continued to waste money on acquiring poor-fit customers with low LTVs. Building a system for customer retention was critical to turning Karmaloop's business around. A strong customer base would lower CAC and help rebuild brand authority, trust, and referrals. We built a strong retention plan with lifecycle marketing. I'd used lifecycle campaigns when I was building my previous online business and saw it as one of the best ways to grow an online company. Sending specific emails to customers at various stages of their customer lifetime allowed us to stay engaged and make the right offer to the right customer at the right time. These trap wires were an enormous win for Karmaloop—it was one of our most effective campaigns with 500% ROI. A simple change in mindset to emphasize retention helped us create strategies that had huge impacts on the company's bottom line. Retention goes hand in hand with monetization. Retaining customers is good for the economics of any business, but combining those efforts with tactics to better monetize those retained customers will boost revenue. A lot of companies undervalue their products or don't realize how much their customers are willing to pay. Instead of discounting and undervaluing the products, we focused our efforts on maximizing revenue from Karmaloop's loyal and willing-to-pay customers to increase customer ARPU. Many loyal Karmaloop customers—that is, those ideal customers who weren't just drawn in by discounts—were genuinely interested in the merchandise and were willing to pay for the value they saw in the products. We tried several experiments to better commoditize that perceived value. A 30% increase in price resulted in no change in volume—just a 30% increase in revenue. Race-to-the-bottom pricing did not drive the most and the best sales, and that experimenting with pricing will show you what your customer is really willing to pay. We also had a lot of success with cross-selling and up-selling. This strategy works for companies of almost any size—Amazon reported that 35% of their revenue comes from cross-selling. At Karmaloop, we put this into practice with post-purchase bounce back campaigns that marketed to customers who had just completed a purchase. These campaigns were hugely effective because they targeted customers who already demonstrated willingness to buy. The offers created a sense of urgency that ultimately increased the LTV of already successful customers. By doubling down on efforts to maximize revenue from Karmaloop's best customers, the company created avenues to grow that piggybacked off of strong retention. Many companies think they need more traffic—but what they really need is better conversion rates and better customers. More traffic doesn't necessarily equal more conversions, and more conversions don't necessarily equal high-LTV customers. When we set out to acquire new customers at Karmaloop, we wanted to be sure that we were acquiring the right kind of customer: a customer who would be happy with the products and the company, and have a high lifetime value. This segmentation and differentiation is crucial for efficient acquisition. Treating all potential customers the same means you can't optimize for anyone in particular, and as a result, you might miss connecting with important potential customers. Basic information about successful customers' activity, like how many purchases they were making, the frequency of their purchases, and the number of purchases they made on full-margin items. Where great customers were coming from. For example, by understanding that acquisition channels like Instagram and YouTube influencers bring in the most valuable customers, we were able to direct marketing spend more efficiently to target those channels. What great customers were interested in. We solicited feedback directly from customers to better understand what motivated a successful customer by sending Net Promoter Score surveys and then asking for feedback from customers that ranked as promoters. This helped us find out what brands these customers were interested in, what blogs they read, and where else they liked to shop. Creating in-depth buyer personas of successful customers told us where to find and how to interest other customers that were likely to be successful. Karmaloop's 180 degree spin from bankruptcy to a $10 million sale seems dramatic, but the truth is that most companies could benefit from the strategies that worked at Karmaloop. Many companies, large and small, aren't growing as fast as they could. By shifting the company's focus to retention, the other growth levers will fall into place—you'll work backwards through your funnel to optimize each stage, starting with reducing churn, increasing ARPU, and eventually acquiring more of the ideal types of customers. By improving all three areas, you'll create positive results that multiply and drive sustainable growth.